Planning on those traditional store-bought Valentine cards this year? 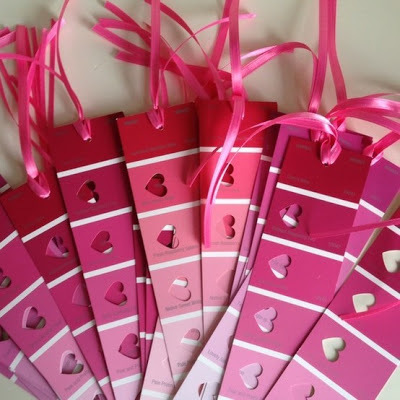 How about creating opportunities for each child to make Valentine book markers instead? They make a sweet little gift, can be used all year long, AND might even encourage more book reading! Paint chip cards (please respect the paint/hardware stores and ask for permission to take extras) OR cut and paint your own colored strips.